55Hydro located in Orange County, all you need in hydroponics. Got questions and need answers? Hydroponics is our business, service is our best product. The most important thing to know about us is the fact the we know and understand hydroponics and growing. We provide you with information that matters. Our knowledge and passion to Hydroponics will help you have a healthy harvest. We have the best brands in the market. Many stores have the products but lack the experience in using those products. We are we are both! We aim to be the best hydroponics store in the state and in order for us to accomplish this we need to hear from you. We are located in the famous Orange County. The county is famous for its tourism as the home of attractions like Disneyland, Knott's Berry Farm, and several beaches along its more than 40 miles of coastline. We carry all necessary equipment and supplies for exceptional Hydroponic success. We are a hydroponic and organic fertilizer super store. Whether you are gardening for fun or you are running an organic commercial operation we have what you need. We are dedicated to serve you the customer with the right information and products that is important to you. We take pride in employing a well-trained knowledgeable staff with the highest standards. Many stores have the products but a select few have the experience in using those products. We are proud to say, we are both. In this very competitive market where many companies are simply trying to make a dollar, its the companies like us that can help you through every area of hydroponics and organics that will be here at the end. So don't be fooled by price, check the knowledge and experience behind it. Compost Tea from our Vortex Brewer® $5 dollars for 5 gallons while supplies last. Energize Your Water for More Life and Plant Creation. Compost Tea from our Vortex Brewing recipe for soil fertility and plant health. An ancient humus derived from diatodes, Packed with beneficial microorganisms. Excellent for revitalizing soil. A must-have ingredient in compost tea, increases the plant’s ability to assimilate nutrients. Available in: 2.2 lb. bag / 25 lb. bucket / 44 lb. Now carrying FULL ON Grow Switch. Come on down and grab a bottle or two This stuff is amazing! Full On, sets new levels of nutrient uptake and utilization. Boosts plants ability to efficiently convert nutrients into new cell growth. 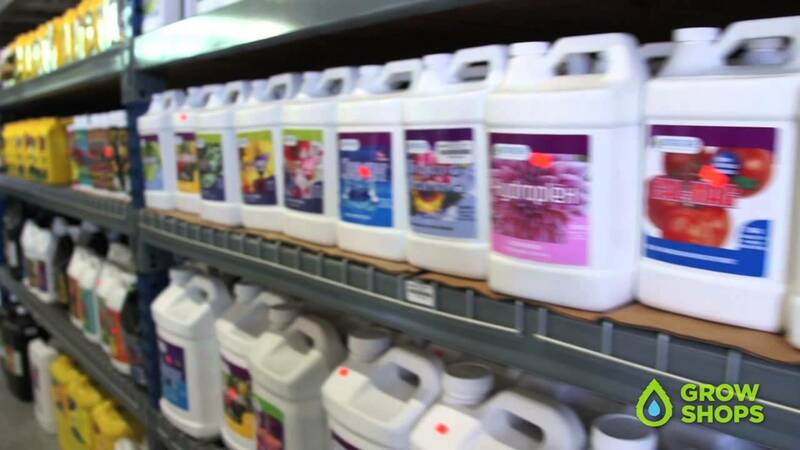 We carry Aptus Plant Tech. It is 100% organic with bioactive ingredients that stimulate plant flowering response and increase soil health. Using it throughout the flowering phase produces larger fruit with more fibers, resin and sugars, increasing quality. Finaleboost is an organo-mineral maturation & finishing booster. Finaleboost is an essential component to finishing a crop with firm and high quality end product. What ever you'll need, we have it! We have an impressive selection of hoses and fittings for all of your hydroponic needs, at 55Hydro you're sure to find just what you're looking for. Come visit us! You can be confident you will be getting a quality product at a great price, and our exceptional customer service is always available to help you get what you need. We are dedicated to serve you the customer with the right information and products that is important to you. Visit us, we'll love to provide you with excellent service. Our well-trained knowledgeable staff is waiting for you. We aim to be the best hydroponics store in the state and in order for us to accomplish this we need to hear from you. Whether it is good or bad, we need to know.